Heir of Fire is the insanely-anticipated next installment in the Throne of Glass Series and the follow-up to the explosive Crown of Midnight. We all knew that CoM was a game-changer (that ending!! like, woah!) SO, fans of the series should go in expecting a somewhat different plot-line than the previous two. Our beloved protagonist, Celaena - seriously guys, I can't even write her name without getting all the feels - is off to the faraway land of Wendlyn. Naturally, this puts some distance between her and the rest of the main characters. Like Chaol. And Dorian. Never fear though, the goddess that is Sarah J. Maas has you covered because we also get to follow what's happening in Adarlan... through the eyes of a heartbroken Chaol, and a confused Dorian. I'm just going to pause here and let that sink in for the romance-fans of the series. But seriously, as much as I longed for my favorite couple's reunion (C&C for ever! 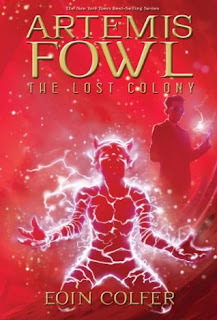 ), Heir of Fire is, at it's core, a journey of discovery for Celaena. In Wendlyn, Celaena faces new obstacles, delves deeper into her past, her powers and her powers. She also meets new characters, all of which are freaking brilliant by the way *cough* ROWAN *ahem* but the focus remains on our protagonist: her past, her secret and her destiny. 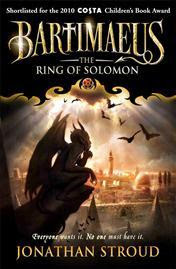 It's here that SJM brilliantly weaves in mythology, magic and Celaena's transformation and everything.was.perfection. I teared up multiple times throughout this entire book, as Celaena struggled with who she was and who she is, as she mourned her lost friend (not to mention dealing with her actions following that loss), as she ached for Chaol, and as she faced the past she has been trying to long to escape; and the powers she's trying so desperately to hide. All of this was all so freaking powerful! For all you Celaena fans out there: if you thought you couldn't love her more, you're in for a surprise! Wow. The layers that are revealed to us as the characters and the story takes shape is nothing short of spectacular and masterfully executed by Maas here. 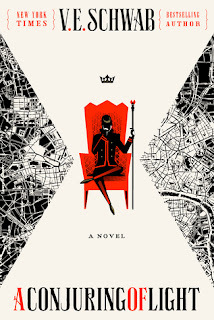 As the scope of the story broadens with every new installment to her series, she continues to blow me away with not just the character development but with her world-building skills. Speaking of which: the magical system expands here beyond anything I could have imagined. While there's always been a fantasy element to the Throne of Glass books, it was more or less in the background - especially in The Assassin's Blade and Throne of Glass and to a lesser extent in Crown of Midnight. With Heir of Fire though...we get to really dig into these aspects of the world And let me tell you: I was riveted and I'm already craving more. Since Heir of Fire is about double the size of it's predecessors, there ample time for setting the tone at the beginning here; going over the after-effects of the game changing ending from CoM, and introducing us to the new reality at hand. The pacing is another aspect of the story to gush over: as the story begins to fully take shape and the layers reveal themselves, it gets all the more exciting because you the pieces are clearly falling into place, not just for the plot of HoF, but for the story-arc of the entire series as a whole. There is some subtle but serious foreshadowing going on here and the whole experience makes me wish the entire series was already out so that I could know ALL THE THINGS. Which in turn made THAT ENDING (!!!) even more torturous! Gah! Man. This book guys! I can't even with this book. I want to gush and squee and cry and hug it out with ALL my fellow Throne of Glass fans and Celaena lovers of the world! 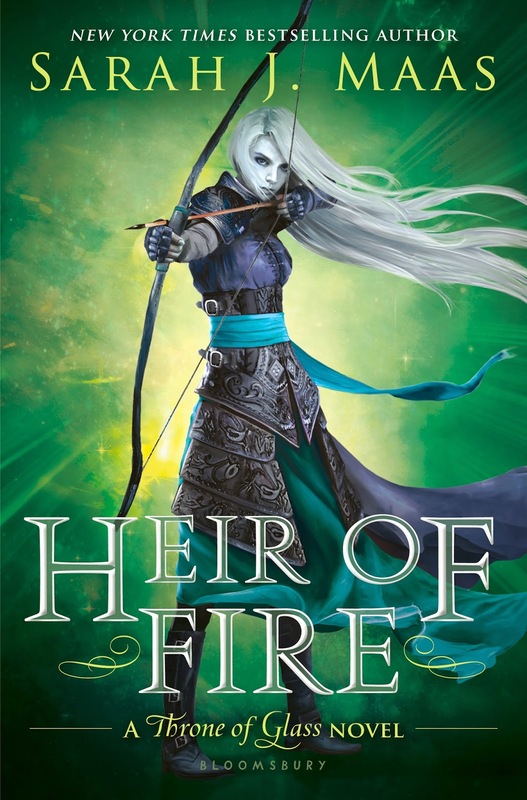 Sarah J. Maas delivers a masterful addition to her series with Heir of Fire that is equal parts heart-wrenching, addictive, intense and emotional. It's pretty much guaranteed to blow your freaking mind! If you've made it through my intense fan-girling and praise up to this point and are still reading, I have one final thing to say: READ.THIS.BOOK. And then come on over here again so we can cry, rave and have a loooong gush-fest about ALL of the AWESOME. My Rating: 5! out of 5 stars ♥! Ooooh that is SO exciting, you'll have to stop by again so we can rave and gush together! Meanwhile I'll be stalking your blog till your review goes up so I can fangirl some more xD Thanks for stopping by Wendy! What a great review :) I love this series, I was a mess after Crown of midnight and the wait is almost over for Heir of Fire. I love that we will still get to hear from Chaol and Dorian when Celaena is away. I cant wait to read about here journey and to meet those new characters, especially Rowan..
OMFG- CHAOL POV?!!!!!!! *Please excuse me while I regain my sanity* After the way CoM WRECKED me for a while, I don't know if I can handle this one, Micheline. I may need to turn to you for some therapy after reading. XD My copy is already pre-ordered, and I don't care what else is going on the day it's released and until I've finished reading it because I'm only going to have eyes for this! Brilliantly written review. You did a great job of capturing the mood and elements of the book without any spoilers. Great job. I'm working my way through this book right now. I've got about 30% left and like you I'm LOVING it. The new characters and story lines are amazing! Awww thanks Gina!! I'm thrilled you're almost done this one, I'll be stopping by to read your thoughts once you're done for sure :D SO glad you're loving it, wait for that ending! Gah! Didn't really read through the review, as I haven't yet read Crown of Midnight but I am so excited to read more of Celaena! The only reason I haven't yet read those is that I am afraid I cannot handle the wait in between! I'm really excited to read this book, Throne of Glass is one of the few YA series I'm following that I actually like. Not long to wait now! Kinda cool you even have a countdown for the release in your sidebar! "But seriously, as much as I longed for my favorite couple's reunion (C&C for ever! ), Heir of Fire is, at it's core, a journey of discovery for Celaena. " YESSSSSSSSSSSSSSS MICHELINE!!!! I know a lot of people were a bit put off by the fact that C&C are separated throughout the entirety of this very large installment, but like you said, this was all about Celaena's journey and what she needed to do to embrace her past. She couldn't do any of those things with Chaol's disapproval shadowing her every moment. I just adored this book, I'm so glad you did too! Can't wait to get my copy once it's released! :D I love this series! Eeeep! :D I can't wait to see what you'll think about THE ENDING!! I'll be looking out for your review for sure Brandi!! I haven't started this series yet, Micheline, so I only skimmed your review :) It is very good to know that you gave it five stars! I guess I need to hurry the hell up and get on with reading the first book then huh? OMG YES Tabitha YOU DO!! Beautiful review! Heir of Fire was just such a lovely journey and even though I missed the romance I really also love that the story is so much more than that! I loved the new characters- especially Rowan. And I so agree that even though the book was long it was still amazing and I wanted more! Gahh I need the next book! I've yet to write my review, but I couldn't agree with your thoughts more!! At the end I was like... everyone is amazing, and EVERYTHING HURTS!!! Seriously that ending did terrible things to me. I loved that we got to see consequences here as Caelena deals with the fallout from CoM. And of course that means we got Rowan, who really grew on me and who I respect loads. And Aedion - I loved his dialogue and he really wasn't who I first thought he was. I feel so sorry for Dorian though :( Made me cry. Oh, and of course we can't forget the Caelena vs. a certain queen face-off! ;) Really enjoyed that one. Anyway, great review! I hope I can make mine so coherent without doing too much summarizing and while still keeping the big picture in mind! EVERYTHING WAS AMAZING but yeah EVERYTHING HURT too! This was a glorious kind of read that just destroyed me completely...and left me begging for me! And Celaena's growth/story-arc was beyond EPIC! I'm glad you ADORED this one as much as I did ♥ And I'm sure your review will be amazing - I look forward to reading it! You made some amazing points about the series story-arc here that I couldn't quite put my finger on in my review. That's part of what made HoF so amazing, was that it feels like everything is being set up. The dominoes are nearly all in place! It's that tipping-forward feeling that made it so exciting for me. Lovely review! I couldn't agree with you more C.J. and just thinking about it makes me all the more excited for the rest of the series to be published, so we can bask in it's entirety LOL Thanks for stopping by!